Available in four trim levels: Ambiente, Trend, Titanium and Titanium+. The exterior of the Ford Figo Aspire follows the company's latest design language that influences its global product range. Characteristic features include a 6-point chrome slat grille flanked by swept back headlamps, round foglamps, wraparound taillamps and a bold chrome embellishment running across the boot lid. It measures 3,995 mm long, 1,695 mm wide, 1,525 mm high, has a wheelbase of 2,491 mm, and 174 mm of ground clearance. 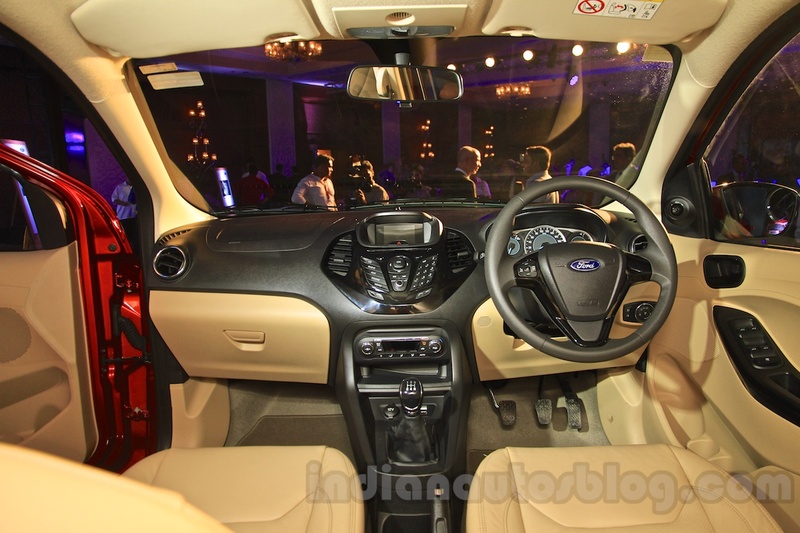 Inside, the design looks largely identical to the Ford Ecosport and Ford Fiesta. It comes with a dual tone black and beige interior, leather upholstery for the top-end Titanium+ trim as standard, and a piano black center console. Equipment wise, it features Ford's SYNC infotainment system running on a small display, Bluetooth connectivity, Ford MyKey, and power foldable ORVMs. As for safety, Ford is offering dual airbags as standard across the range, while the top-end Titanium Plus trim comes with six airbags. Also, Titanium and Titanium+ trims feature ABS with EBD as standard. 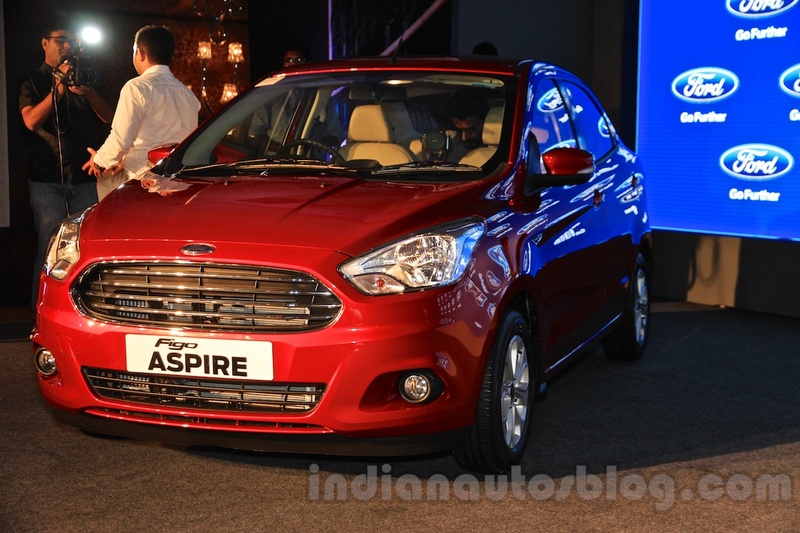 Under the hood, the Ford Figo Aspire is available with three engine options: a 1.2-liter Ti-VCT petrol, a 1.5-liter TDCi diesel, and a 1.5-liter Ti-VCT petrol engine. The 1.2-liter Ti-VCT petrol develops 88 PS and 112 Nm of torque, and is paired to a 5-speed manual transmission. The 1.5-liter TDCi delivers 100 PS and 215 Nm of torque through a 5-speed manual transmission as well. A 6-speed Powershift DCT will be exclusively available on a 1.5-liter Ti-VCT petrol, which outputs 112 PS and 136 Nm of torque. The ARAI-rated fuel efficiency figures for the engines stand at 18.16 km/l for the 1.2-liter petrol, 17 km/l for the 1.5-petrol AT, and 25.83 km/l for the 1.5-liter diesel. 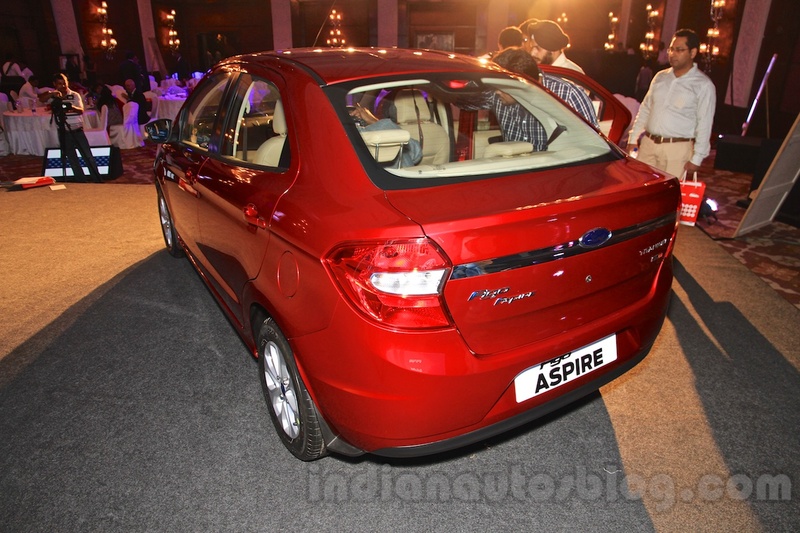 The 2015 Ford Figo Aspire is the first product manufactured at Ford's all new facility in Sanand, Gujarat. It enters an highly competitive segment that comprise of the Maruti Swift Dzire, Honda Amaze, Hyundai Xcent and Tata Zest. For more info, please refer to the press release below the gallery.